STOP Your Home From Flooding, add a flood control system! Why does your basement / home flood? There are few reasons that a basement may flood. A sump pump may have broken or is malfunctioning, a sump pump that normally discharges water may have lost its power, etc. 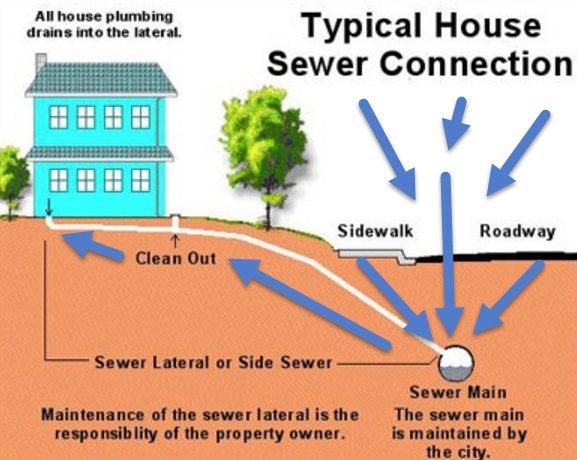 However, in most cases homeowners in Chicagoland experience flooding when the main city sewer line from the street attached to the house becomes overloaded from heavy rains and backs up into your home. Basically the water from the street is filled to capacity and has no place else to go but back up your sewer line and into your home. We can help you add a flood control system to your home and stop your home flooding for good! What is a flood control system? Basically a flood control system uses heavy pumps with several check valves that allow water to drain away from your home back to the main city sewer line while preventing any city sewage or water from backing up into your home or basement. These systems work even during the most extreme rains. Flood Control Rebates – ** Ask your village for assistance – some cities and villages in the Chicagoland area have begun offering rebates for flood control installation / flood mitigation. If you’re looking for the very best plumbing and sewer services for help a flood control system, look no further than Noble Plumbing & Sewer. Call us today to schedule an appointment!